My Akashic Journey ~ Chapter Eight ~ Multiple Timelines and Simultaneous Lives, Oh MY!!! So I’ve been minding my own business, working on a new teen trilogy idea and entertaining myself with the research when I’m not conducting private Akashic Readings and totally NOT thinking about what the next chapter of My Akashic Journey will entail. Although, I do admit, I did give it a wonder for a brief moment, but I figured I had some learning and growing to do before it would come together, as is usually the case. I had decided that my young adult novel series will take place in Boston. I’m not even sure why – it was just a given. Didn’t even think twice about it. Which is weird because I have not been to Boston in at least 15 years, and, to be honest, even though I had a great time there in my college days, I don’t miss it much. But I do miss my college buddy and Pleiadian family member who lives there. And thank goodness she does, because she has been very instrumental in helping me decide what Boston high school my main character will attend and which neighborhoods are most ideal for the setting. Long pause for consideration. I had spent a LOT of time in that neighborhood walking my dog, shooting hoops, running the cinder track around the patchy football field. So close to Boston Latin, the oldest and most famous high school in the city, which was also the first school I thought my main character should attend, until I remembered it’s a private school. Whaaaaat??? They converted our old college dormitory into condos? Seriously?! 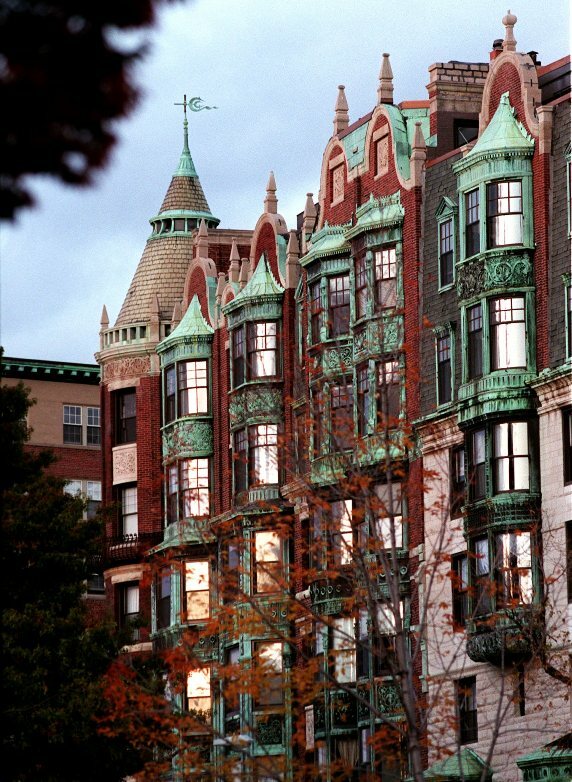 I lived on the eighth floor the first couple months of my freshman year at Emerson College. The place was a total dump with nasty stucco walls that looked like plastered cheese curds and a lethargic elevator that never fully made it to the floor landing. I usually had to step up, or even pull myself up onto the landing from inside the elevator – until I got smart and started taking the stairs. I wasn’t keen on the idea. The old Charlesgate Hotel is massive. Just… HUGE!!! I had been thinking more of an old factory loft-style apartment with exposed brick walls and majestic windows for my novel. Although I suppose that type of setting has been overdone. 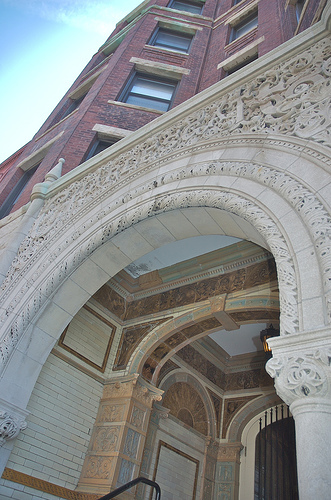 Then my guides show me Exhibit C, that ornate tile décor I noticed in my dormitory building at 4 Charlesgate East in Boston, Massachusetts, when I was a freshman at Emerson College. I recognized it immediately and realized “I’ve been here before,” with utmost clarity and certainty. Then I frowned. “But I’ve NEVER been here before,” I reminded myself. I must admit that I didn’t really fully “get it” until Friday, July 12, when I began researching the building. I first started with the present-day stuff for my novel. If you Google 4 Charlesgate East, all kinds of realtor listings for available condo units pop up. And, yes, the eighth floor unit is currently available “again.” Massive renovations have taken place since I lived there in the fall semester of 1989. It’s nice and all, but hardly worth the $790,000 asking price for the 2 bedroom/2 bathroom, 1,003 square-foot condo. Unless you really enjoy living with perverted and temperamental ghosts, that is. As I continued to scroll through the Google listings, I came upon an interesting link to an article describing the old Charlesgate Hotel as “the most haunted building in Boston.” Built in 1891 by architect J. Pickering Putnam, the building served as a luxury hotel until 1947, then there are conflicting stories about it being a dormitory for female Boston University seminary students (THERE’s a contrast!) or a dorm for male BU students from 1947-1972. Maybe it was both. Twenty-five years is a long time span, so who knows for sure? 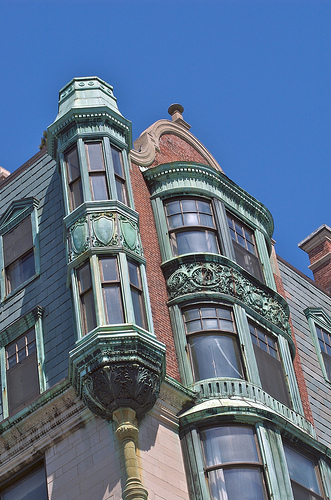 Over the next nine years the building is said to have been a tenement building for “wayward types” until Emerson College purchased it for use as a dormitory in 1981. The building then sold, again, around 1994/1995 (more conflicting reports) and has since been converted into condominiums. When I moved from the very small eighth floor (every article makes a big deal out of the fact that the eighth floor cannot be seen from the street and some go so far as to say that it had been purposely built that way as a secret hideaway for mafia activity, but I always got the feeling the eighth floor was an addition, and not part of the original building) to the larger second floor, I began to hear more and more student accounts of ghostly encounters. One resident assistant spent most of her time sitting in the hallway because the negative energy in her room was too much for her to bear. Just telling me about it made the hairs on her arms stand up, and she showed me her goose bumps. Right around that time a story appeared in our school newspaper stating that several female students had reported a male ghostly figure dressed in black and wearing a black hat and cape getting fresh with them while lying in their beds. I believed it since I had felt the mysterious caressing and tickling nonsense when I was on the eighth floor, but it never occurred to me to report it to anyone, especially after my roommate looked at me like I had three heads when I told her I felt our room was haunted. Even though I was only eighteen and from a small, rural area where I’d lived in a fairly new, one-owner home with no spooky history, I was pretty chill about all the spirit activity I suddenly encountered without warning. As I sat and thought about it on July 12, Scarborough (my higher self) communicated to me that Charlesgate was, actually, a portal. Yes, a portal to other dimensions and timelines. Okay, weird. The first time I had ever encountered that word was when a psychic friend came over to my house to investigate all the wild spirit activity I had been experiencing at my current home in southwest Michigan. She told me she felt a “magic gateway” in my basement that dug down way deep into the ground and shot way high up into the sky, but also curved out, northward, toward the fireplace, and vibrated like a giant tuning fork. “The spirits are attracted to it,” she told me. Another portal, I thought to myself as I stared at a photo of Charlesgate on my laptop screen. 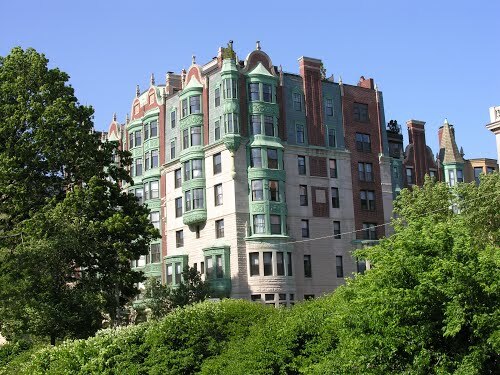 Some of the articles were going so far as to say that the architect, J. Pickering Putnam, had been rumored to dabble in the occult and that he had purposely designed the building with materials to attract dark energies. The movie Ghostbusters suddenly came to mind, and it all seemed so crazy. I searched for more information on the architect, who was a Boston Latin alumna (coincidence?) and a Harvard graduate who traveled to France to further his studies at The School of Fine Arts in Paris. Paris? Really? Coincidence again, I wondered as I stood and stretched. Suddenly a vision of the ornate decorative tile I recognized as an 18-year old flashed in front of my eyes. I shook it away and glanced at my laptop screen again. Architect. The word was the only clear thing on the page. I felt the instant connection. 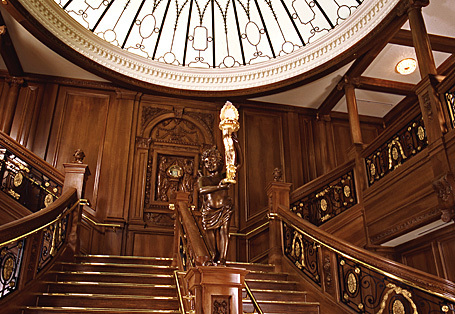 My twin flame’s Akashic Records said she had been an architect who designed the grand staircase on the Titanic. Was it possible she had also been this J. Pickering Putnam guy as well? And, if so… how is that possible if the Titanic sank in 1912 and her architect self was on the ship? 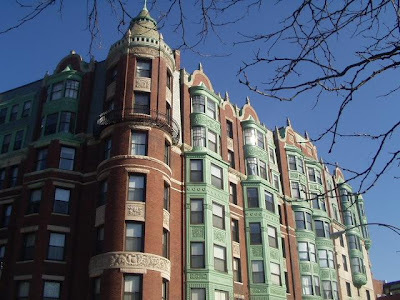 How could she also be an architect in Boston designing and building the Charlesgate Hotel in 1891? Ohh, here we go with the parallel universe, multiple timelines and simultaneous lives mindfuck again!!! Am I right? Well, you know exactly what time it is now! Time for a My Akashic Journey reading! 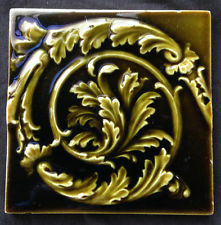 Okay, so, I know you are trying to help me make a connection to another life by showing me the ornate wall tile at Charlesgate right when I was reading the word Architect on my laptop screen. I feel a correlation, so what are you trying to tell me, exactly? The reason you recognized the tile and felt you had been there before was because you had been there many, many times with your husband who was, yes, the architect of that building. And, yes, the higher self of that individual, J. Pickering Putnam, or JP Putnam as he preferred to be called, was Ulron, the twin-flame soul mate of your higher self, Scarborough. Okay, so, in an Akashic reading I conducted for her last summer, my twin-flame was told that she had been an architect who designed the grand staircase of the Titanic, of which she was supposedly a passenger when it sunk in April of 1912. So, how is it possible that she was incarnated as an architect in Belfast, Ireland, working on the Titanic while, at the same time, incarnated as JP Putnam, another architect designing and building the Charlesgate Hotel? They were on two different timelines. Parallel, yes, and happening simultaneously, yes, but on completely different timelines. Well, there are many, many different parallel worlds, dear. We could try to explain it, but it would boggle your brain too much. So, for the sake of your sanity, just know that it is possible and happening on so many different levels with so many different fractals of your higher self that you could not even begin to imagine how it is all kept organized, but it is. We just told you that we can’t. It would fry your brain. And most humans don’t want to know. They are too busy being occupied by the system. Too interested in their own Sims-type games to realize they could really be living real lives if they could just unplug. But, what they are doing is very much like what your higher selves are doing. Running programs. Experimenting with different characters. But, actually feeling through these characters who are in physical bodies. But the idea was not to become so mind-centered that you stop living and experiencing. Yes, it is part of the program… to experiment to see how deeply rooted fear can immobilize an entire race. You remember the days when you, as a kid, used to go outside and roam and play for hours and hours with no parental supervision. You were free to explore your world. There were no simulated, computer programmed games to play. And your parents weren’t worried too much about your safety until you started driving their car. And really, then, they were more worried about their car or “the other guy on the road,” than they were worried about you. Not that they didn’t love you, but that their fears and worries were more about financial issues or you being a victim than you actually causing a problem on the road. Regardless, if you sat around in your room on your computer all the time, they would have been more worried about you than they were when you were outside roaming and exploring, and, yes, even driving their car. Because, just 30 years ago, life was very, very different. You were still expected to be socially engaging… or engaged… with people face to face. Not in chat rooms or through simulated online games. The whole idea of incarnating into physical bodies is to fully experience life through all or most of the senses. Many are no longer doing this for they have become so enslaved by the system that even their free time is consumed by the system. It sounds to me like we are being treated like lab rats. What is the point? To see if the lab rat cares enough about itself to free itself… and the other lab rats. Seriously? That is totally fucked up. And you wonder why so many of us are depressed and suicidal? We know why you are. We understand fully. But we also know that you all have the power to change it. The question is, do you want to? And, if you want to, how are you going to go about it? Are you going to continue killing each other for power? Are you going to continue to allow a flawed system run by a few elite control you? Your lives? Your loved ones lives? The problem is that we don’t know how to change it. We’ve got people channeling ETs who are telling us they are coming to save us. We’ve got these other groups telling us that there are some benevolent trusts that are about to gift us with prosperity packets so we, too, can experience wealth and abundance and finally live again. The problem is that this has been going on for years and nothing ever happens. Peaceful protests have been going on and on and on, but nothing changes much. We’re still enslaved by the system. How do we change it? How do you stop abuse? You walk away from it. You have this power. All of you. Together. You have to disengage. You have stop lending your energy to the system. That is the only way out. How do you end a game you can never win? You simply stop playing. How do you starve a system that starves you? Easy. You cut them off. Collectively. How do you disengage? You have to detach. Detach yourself from fear. Detach yourself from worry. Detach yourself from the lower vibrations that keep you dependent on their system. We’ve heard all of this before. The majority of the collective does not listen or follow this advice. It seems like the majority of the collective is still deeply asleep. How is it the same or different on other timelines and the parallel worlds? Each one is slightly different, since variance of outcomes are being explored and recorded. For example, right now, in a parallel universe on the very same timeline as yours, the Trayvon Martin case/Zimmerman trial has seen Zimmerman convicted to a twenty year sentence. Basically, some outcomes are the opposite of what you are currently experiencing regarding human rights cases while some remain the same. Okay, so are all the people in that parallel universe exactly the same over there as they are here? With the same higher selves? Some are participating while some are not. Some are the exact same identity “there” as “here” while others are different, but whether they are the same or different, yes, they all have the same higher selves. That is, IF they are participating in that particular universe on that particular timeline. Yes. There are several. We know it’s confusing. Which is why we don’t try to explain it too much. It seems chaotic. How is it possible to keep it all straight? The Akashic Records keep it all documented. If you want to keep going with the “lab” metaphor, think of the different timelines as “batches” or “groups” that were started at different times. So, your first group of rats started their testing six weeks ago. Your second group started five weeks ago. Your third group started four weeks ago. So, even though they are all going through a six-month test, they are slightly staggered and the circumstances are changed a bit despite running through the exact same program for the exact same amount of time. What is the possibility of July 15, 1971 happening on another timeline right now in the same universe with me being born again as the same exact person while I am still alive? It’s very possible. Or you could be someone different on a different timeline in the same universe, too. Or the same in a different universe on a different timeline… or the same timeline. The possibilities are endless. What is the point of being the exact same person on the exact same timeline in a parallel universe? Some higher selves would like to try the same “character” throughout the same time period with slightly different circumstances. It’s kind of like your video game analogy – using the same character to explore a new difficulty level within the same game. Please explain to me again what the purpose is for higher selves to be living vicariously through so many physical beings on so many timelines all at once. What are they hoping to accomplish by doing this? There are so many analogies we could use to explain this and none would be completely accurate, but we will do the best we can with the seedling analogy (although no one gets eaten in the end, so, again, like we say, not the best analogy). When you plan a garden, you plant many seeds, right? Four or five at a time within one hole. And you will plant several rows of the same kind of seed, right? Because just planting four or five watermelon seeds in one hole may only give you one plant. And that one plant may not even weather the storms long enough to bear fruit. 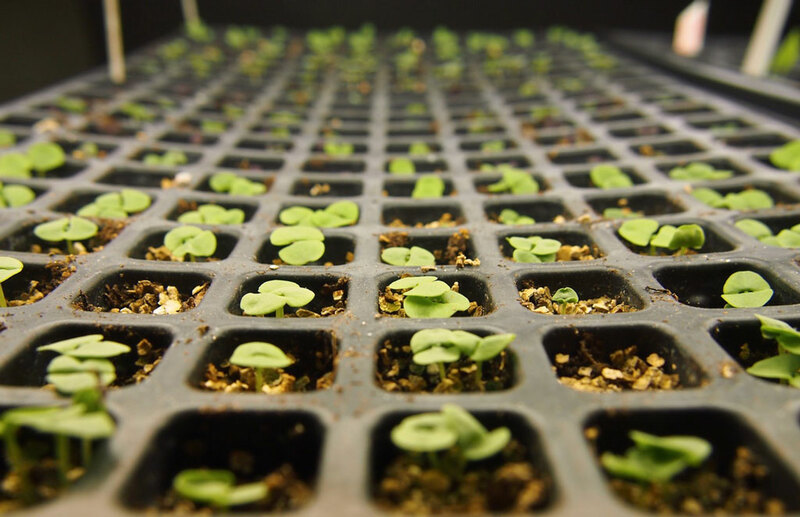 As you know, even with the same amount of water and sunlight and care, not all seedlings will sprout. 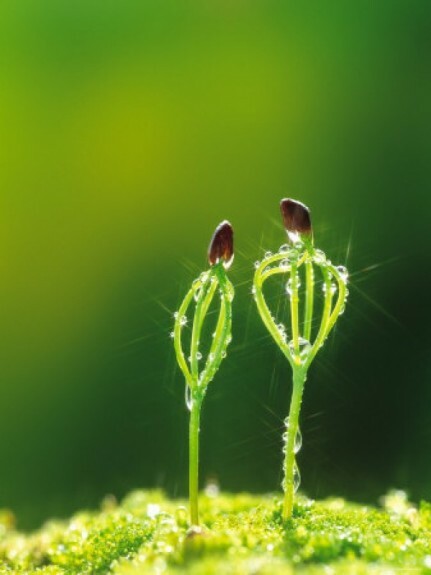 The ones that do sprout may not mature. The ones that mature may not flower. The ones that flower may not bear fruit. The ones that bear fruit may not bear enough fruit. Or quality fruit. But the hearty, plentiful ones that bear plenty of quality fruit, those are the ones that truly nourish, right? And nourishment is what every soul needs. So, you know you need to plant a lot of seeds in order to actually nourish yourself. And this is exactly what the higher selves are doing, although they are nourishing themselves with experience – physical experience. They try to nourish you as much as they can so that you will grow and mature and bear quality fruit so that you, in turn, can nourish them. But they know all too well that in order to get the plentiful quality fruit, they have to plant many, many seeds all at the same time. I know some would argue that not exercising free will would make us “puppets,” but, at the same time, isn’t the whole idea of this “game” to ascend INTO our higher selves by becoming ONE with them? Would that really be such a BAD thing? To actually WIN the game by ascending into our higher selves with the Ego setting on DIFFICULT? Let your HEART answer that question. I’d love to know where you got the name Scarborough . I’m not sure how I found this. I googled parallel universe twin flame. My name is Scarborough. My last name. Maiden name. My higher self adopted the name because her favorite life was when she lived in Scarborough, UK. Wow .. stumbled upon this and feel so connected to this story, then saw ur comment about ur names n I feel the exact SAME way, I’m from Michigan, and my name is Lynsie. Happy 4th of July. I’m thanking I stumbled upon this today because I’ve looking for answers to free myself from something since I was a little girl. Always felt different and just didn’t belong where I’m at but feel strong immediate connections to random people at times. Almost like I MUST SPEAK UP and let that person know I see you and I care. . It could just be a random person walking into a gas station that I’ve never met and I am drawn to hold their door open, compliment them, or just have them know that I saw them. It’s a strange feeling to go thru. I have dreams and they are hard to remember at times but I always have underground tunnel dreams, large loud booms. Rotating drills that I’m always running away from, gray falling rocks, energy and other things I have no name for being sort of smashed together to create vibrations that can’t be described, only felt. I have strange connections that happen from scent. I smell something that I just know Ive never smelled in this life, but it’s so familiar that I can ALMOST start to put my finger on a memory, but as I start to remember where I know it from, it’s like the memory and the scent dissolve. It drives me mad. I feel so alone, but in dreams Im so open and connected to people who I’m afraid to talk to in actual life. I feel like I’ve had relationships end in real life and in dreams they seem to continue on, for weeks or months I won’t dream of those people, and suddenly they pop back into my dreams and it’s left off like any normal relationship, almost as if it is another parallel timeline of the possibility of what could of been. it’s odd. Has anyone else experienced that? I have chunks of my “real/awake” life that I can not recall or remember almost years of really anything. It seems like I can’t remember a few hours of recent days, like I was physically present according to other people, but it’s as if I can’t remember what happened in the physical realm because my mind was visiting somewhere else at that time. I do not have facebook but out of the blue I’ll think of a “random” person (usually someone from years past, who I really didn’t connect with.. at times it’s been girls who bullied me in high school) and I’ll think I should look them up just to see what their life is like, but since I don’t have facebook, I never look them up, and later on, (usually somewhere between a few hours, or sometimes days after they pop into my head), I’ll hear they’ve passed away or that a tragedy has hit their family. I’ll have dreams about seeing a person who I haven’t seen in years and when I wake up, I hear that they’ve passed away. I’ve lost so many people close to me, and I wonder why I don’t see them in my dreams, are they contacting me in other ways that maybe I’m not recognizing? I need help learning how to open up, understand and connect without my present fears clouding my way. I don’t have money to invest (there are so many books on so many subjects that “could” hold the answers that Im looking for, I could build a library with them all! I simply can’t invest at this point 😦 I’d love to invest in a reading with a guide, but Like I said, I’m in northern Michigan and I truly don’t know where to look for an honest person who has the ability to give readings around here!!). If there’s anyone out there, who can offer me pure and good guidance, I’d be forever thankful for your kindness in helping me with something holding me back. I have a strong feeling I might be you (Scarborough), or maybe just one of your pleiadan sisters. Reading your journey was like reading my own journal. Mind Blowing. It is a beautiful building, I can almost feel it is a portal… I am too, attracted to it.. Multiple timelines. I hear you! Blows my little human mind so I’m going to flow with it. After all, there’s a lot of fun stuff to do here! My first novel is ready for pre-order!!! The way. The Truth. The Light. Ooo Rah!